The provincial government is highlighting its continued funding of First Nations hydro projects, but some Indigenous communities are being cut out of economic opportunity due to the suspension of a program for independent producers. Like several First Nations on Vancouver Island, the Ditidaht had plans to harness the power of a river in its territory for electricity generation. For years a hydro project on the Little Nitinaht River was in development to run water through a pen stock pipe to a downhill generating station with a 4.5-megawatt capacity. 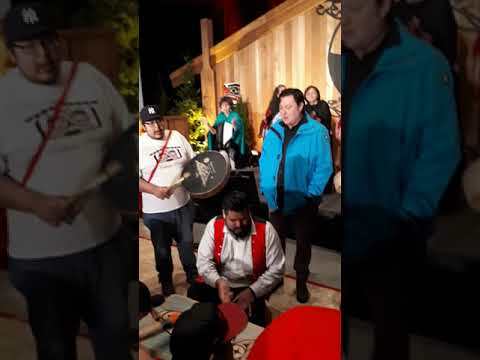 Approximately $1.7 million was invested to study and create plans for the project, with funding from the provincial and federal governments, the Nuu-chah-nulth Tribal Council as well as nearly $400,000 from the Ditidaht First Nation. By selling power back into the BC Hydro grid, the Little Nitinaht River project was to be a major revenue generator for the First Nation of approximately 780 members. This was planned to amount to $29 million over the initiative’s 40 years of operation, said Brian Cofsky, executive director of the Ditidaht Economic Development Corporation. But this changed after hearing that the province would no longer be accepting projects under the Standing Offer Program, which has allowed many First Nations to launch their own micro hydro projects through arrangements to sell power back into the electrical grid. The Standing Offer Program stopped taking applications in 2017, leaving some First Nations with stalled developments. Cofsky said that while the Little Nitinaht River project was assessing whether to wire power to Port Alberni or Lake Cowichan, his team discovered that their options were disappearing. The Standing Offer Program is provincially legislated, meaning that permanently removing it would require a majority vote in Victoria – more than the NDP could manage without the support of its Green Party allies. But the government appears to be uncommitted to accepting more projects under the program that helped launch micro hydro generation for the Tla-o-qui-aht, Hupacasath and several other First Nations in B.C. As part of a comprehensive review of BC Hydro last winter, in February a report recommended cancelling the program altogether. The provincially commissioned study said that due to past deals with independent producers, B.C. rate payers will have to pay $16 billion over the next 20 years. “The report concludes that BC Hydro bought too much energy, the wrong type of energy and paid too much for it,” stated the Ministry of Energy, Mines and Petroleum Resources in a news release. With just 35 per cent of Vancouver Island’s electricity generated on the island, this recent criticism of independent power producers has some concerned the provincial government is more interested in large-scale dams on the Columbia and Peace rivers. Clean Energy BC argues that the ability for a project to sell power back into the grid has created valuable economic opportunity for remote First Nations. Meanwhile, the provincial government has grown an energy fund for First Nations since it was established in 2011. In the 2019/20 budget the First Nations Clean Energy Business Fund is allotted $7.74 million, showing an increase of $1 million over the last two years. In 2018, 14 First Nations benefitted from this fund, including $500,000 the Hesquiaht received to help build a micro hydro project to power Hot Springs Cove. By harnessing flow from Ahtaapq Creek, this generating station is designed to reduce the community’s reliance on diesel that has been regularly shipped to power Hot Springs at a high cost to the First Nation. Last year the fund also gave a $500,000 boost to the Ehattesaht First Nation, allowing the community to expand its stake in the run-of-the-river hydroelectric plant that has been running 10 kilometres south of Zeballos since 2012. Twenty per cent of the Barr Creek project is owned by the Ehattesaht, with the remainder belonging to Synex Energy. The Ditidaht First Nation has also benefitted from the FNCEBF with a past injection of $40,000. But empowering independent producers appears to be falling off the province’s agenda, as the focus of the fund over the next fiscal year will be to “fund clean energy projects that displace diesel power generation in remote First Nations communities,” wrote the Ministry of Indigenous Relations and Reconciliation in an email to Ha-Shilth-Sa.